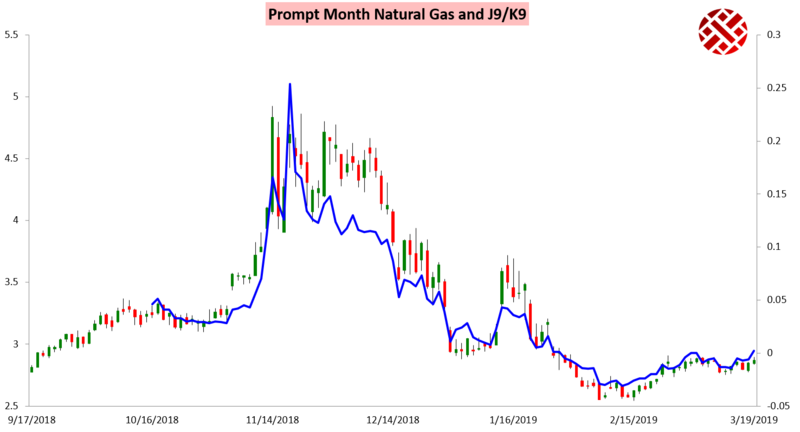 It was a mixed day for natural gas futures, as colder weather forecasts helped the April gas contract settle a bit less than a percent higher on the day despite looser fundamental data. 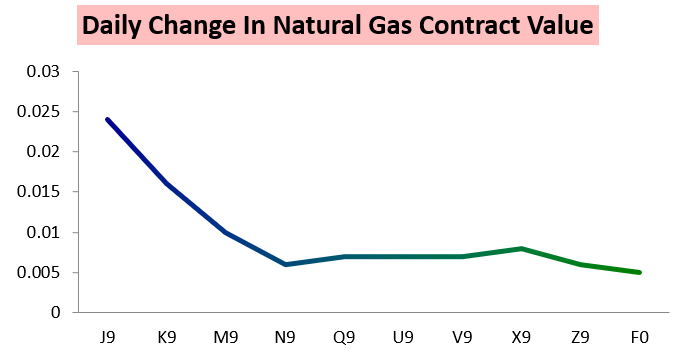 The April contract was clearly the strongest on the day, with other contracts lagging behind on looser demand data. The result was the first positive settle of the April/May J/K spread in quite some time. The April/October J/V spread eclipsed the recent highs set last week as well. Much of the support at the front of the curve came from bullish overnight weather trends that were outlined in our Morning Update. Yet out sentiment was slightly bearish on the day due to bearish fundamentals besides weather that had us see intraday price downside. This worked out well until mid-day weather model guidance (particularly the GFS ensembles) progressed in an even colder direction (images courtesy of Tropical Tidbits). Climate Prediction Center forecasts this afternoon accordingly eliminated the bulk of what seemed like high probability warm risks yesterday. 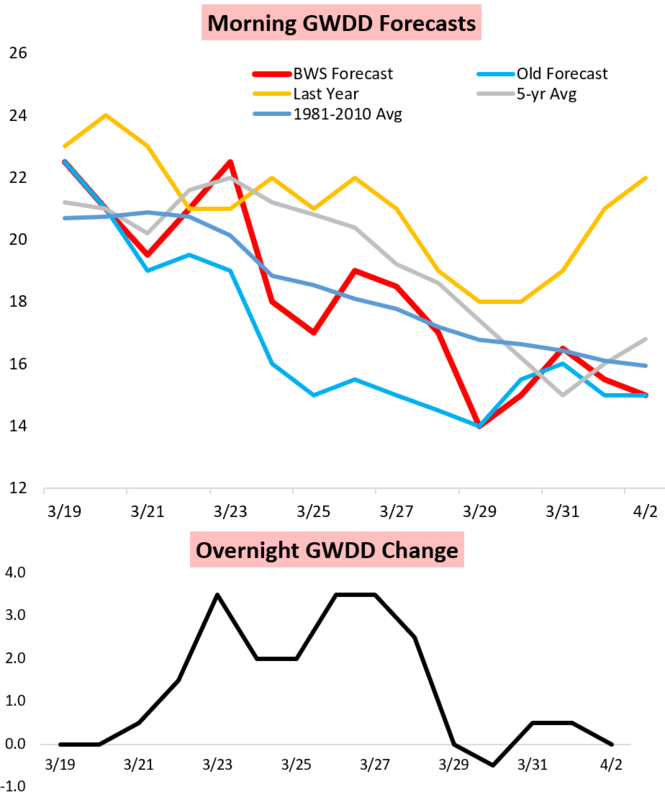 Tomorrow, traders will be weighing these recent weather changes against Thursday's expected EIA number and the latest daily balances, which we present to clients on a weather-adjusted basis. 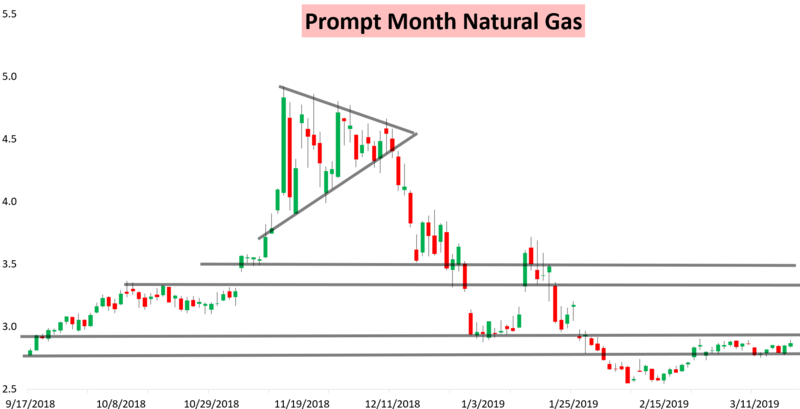 In our Afternoon Update we broke down our price and weather expectations for the week, showing how risk is skewed and what our latest weather forecast is. Try out a 10-day free trial here to give all that a look.